GBPUSD is under the influence of Brexit, oil market and the business activity index and is expected to move in lower ranges. 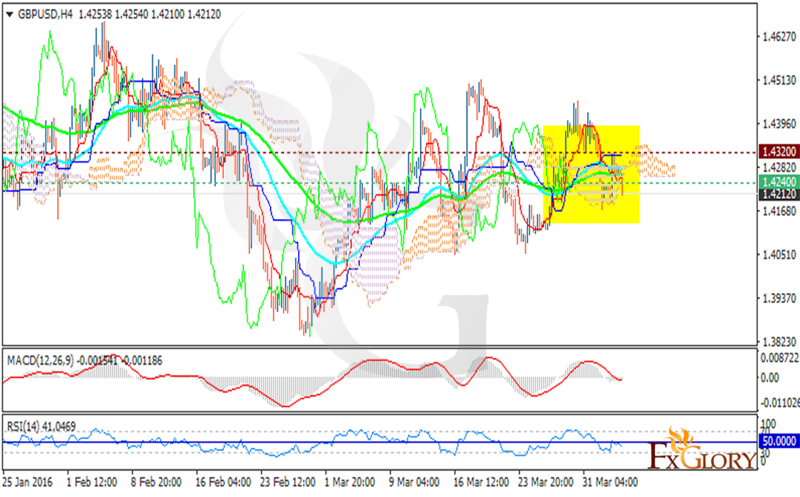 The support stays at 1.42400 with resistance at 1.43200. As the support has already been broken the price is going to fall and reach lower levels. The EMA of 50 is located above the EMA of 100. The MACD indicator is in negative territory showing the price decrease and the RSI is below the 50 level. The price is above the Chinkou Span and in Ichimoku Cloud. The Kijun sen is showing a horizontal trend while the Tenkan sen is showing and downward movement. Short positions are recommended with the target at 1.4160.